Os alguns Few Fingers são, afinal, só dois: Nuno Rancho e André Pereira. Nuno Rancho, ao longo dos anos, tem participado em diversos projectos. Curiosamente, passou por aqui em 2008, enquanto artista a solo O som deste projecto é o que muitos chamariam de indie-folk. O álbum de estreia dos Few Fingers, "Burning Hands", que estará disponível a 28 de Setembro, tem, para já, como aperitivo, o tema From Pale To Red, que agora dá a volta ao mundo através do Music Alliance Pact. O vídeo do tema, que poderão ver abaixo, foi realizado por Tiago Gomes. Além do tema dos Few Fingers, temos mais 17 temas e bandas nesta edição do Music Alliance Pact. Clique com o botão direito do rato, por cima do título da canção, para fazer o download do mp3 ou faça um download do ficheiro completo, com os dezoito temas, através do Dropbox AQUI. years, this independent prog-rock band from Ramos Mejia, a Buenos Aires suburb, performed a couple of shows last month after being inactive for quite some time. So we thought it was a great opportunity to share this fine track from Argonautas' third album, also called Perfecto. BRAZIL: Meio Desligado Emicida - Mandume Brazil's most famous rapper, Emicida, has just released a new album in which he explores themes about urban life in his homeland, mixing it with African rhythms. In Mandume, he's surrounded by a group of new Brazilian MCs: Drik Barbosa, Amiri, Rico Dalasam, Muzzike and Raphao Alaafin.
. CHILE: Super 45 Planeta No - Sol a Sol Planeta No is one of the most promising acts in Chilean pop. Gonzalo García, Camilo Molina and Juan Pablo Garin, who released first EP Matucana in 2014, make perfect music for the dancefloor with guitars, synths and harmonies. The single Sol a Sol is taken from debut album Odio, which came out in August. COLOMBIA: El Parlante Amarillo Anyone/Cualkiera - En Cualquier Parte From Medellín, as part of the No Rules Clan, we introduce Anyone/Cualkiera, who have been making hip-hop for more than five years. Their latest work, Tiempo Libre EP, is very interesting, not only for its collaborations - which includes Kario One on En Cualquier Parte - but for its approach to old school and reflection of Medellín life. DENMARK: All Scandinavian Palace Winter - Menton Palace Winter - aka Danish producer/synth wizard Caspar Hesselager and Australian singer-songwriter Carl Coleman - release their five-song debut EP, Medication, on October 2. Here's the awesome second single Menton as a MAP exclusive download. ECUADOR: Plan Arteria Andes Music Machine - Stray Song Andes Music Machine were formed by Pinteiro, an electronic musician from Quito, and The Pineda Brothers, who belong to the indigenous community of Peguche in the Andes of Ecuador. They play Andean music with electronic and traditional instruments, creating a sound that represents new Latin American music beyond the popular cumbia. INDONESIA: Deathrockstar Peonies - Truth Peonies are Cinta Marezi, Jodi Setiawan and Paramitha Citta. They come from Jakarta and love to sing and dance in an indie-pop style. IRELAND: Hendicott Writing Overhead, The Albatross - Big River Man Having forged a reputation as a truly stunning live band, Overhead, The Albatross have finally unveiled the first single from their long-awaited debut album, out shortly. Big River Man is about Slovenian distance swimmer Martin Strel and contains the band's usual swirling guitars and complex, beguiling layering. It's loud yet nuanced, jagged yet melodic, and entirely instrumental. You need to hear it. ITALY: Polaroid Any Other - Gladly Farewell Adele Nigro is only 21, but she has been making lovely folk-pop with intense lyrics and a strong attitude for years. She reminds me young songwriters such as Courtney Barnett, Waxahatchee or Eskimeaux. Adele recently formed a trio called Any Other, who released their debut album this month (available at Bandcamp) and it is the best new voice I have heard in a while. JAPAN: Make Believe Melodies Takeaki Oda - Loop The term chillwave presumably vanished from many music fans' heads several years ago, but the microgenre persists in Japan, with lots of great results. Takeaki Oda is the latest Tokyo artist to embrace it and Loop is an absorbing number that makes dusting off classic terms such as "sun-dappled" worth it. He adds a level of familiarity by weaving in some childhood sounds, at least if you played the Nintendo 64. MALTA: Stagedive Malta Norm Rejection - The Radical Underground Norm Rejection formed in 1994 and are the country's first metal band to have both English and Maltese lyrics. With three albums and two EPs to their name, they fuse different styles into a distinctive metal sound. Norm Rejection are known for their songs of rebellion and liberation as well as their powerful live performances. MEXICO: RBMA Radio Panamérika Selma Oxor - Luna Llena Based on the tracks we've heard so far from the Cocina or Jungle Juice) and naked, Oxor feels terribly confident in her vocal acrobatics that have been pushed to the foreground. In Luna Llena, the former Bam Bam member adopts a vamp persona while carrying a batch of bubblegum synths and a threatening ambience that's as lustful as it is catchy. PERU: SoTB Los Lagartos - Invierno Los Lagartos recently launched their La Luz Del Mediodía EP, influenced by American jangle-pop and 80s British rock. Invierno, the fifth track of this remarkable record, is a fresh tribute to British rock played under Lima's grey sky. PORTUGAL: Posso Ouvir Um Disco? 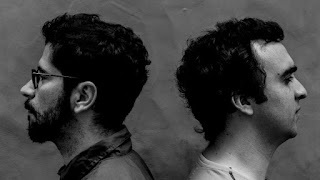 Few Fingers - From Pale To Red Few Fingers (Nuno Rancho and André Pereira) release their debut album, Burning Hands, this month. They have a beautiful indie-folk sound, as you can hear on From Pale To Red, which is backed by this video directed by Tiago Gomes. Nuno Rancho was also featured in the Music Alliance Pact's December 2008 edition when he released his first solo album. SCOTLAND: The Pop Cop Daydream Frenzy - Pride & Wonder Daydream Frenzy are one of the most promising alternative rock bands to emerge from Scotland in quite some time, with support from Kerrang! magazine and an endorsement from Tom Delonge of Blink-182 fame testament to the very obvious talent this Aberdeenshire trio possesses. Daydream Frenzy released debut album Pride & Wonder in March - seek it out on iTunes/Amazon/Spotify. Its title track (see video), presented here as an exclusive free download, perfectly encapsulates their appeal: jumbo choruses, exceptionally strong melodies and accomplished musicianship. SOUTH KOREA: Indieful ROK Tierpark - Bullfight Seoul-based dreamgaze outfit Tierpark release second album The Moment Two Worlds Meet this month. Showcasing the band's characteristic dynamic sound, Bullfight offers intense progressions and captivating guitar lines perfectly complemented by Sehee Kim's vocals.